ITIL stands for IT Infrastructure Library, the most comprehensive collection of documents intended to provide support and advice regarding IT Service Management. It began in the 1980s, when the CCTA (now the Office of Government Commerce) was charged with developing a more efficient method for managing IT Services. Today ITIL is the most widely-recognised sources of best practices, guidelines and qualifications within the IT Service Management industry. PRINCE2 and MSP also began as processes and best practices specific to the IT industry. Unlike ITIL, however, both PRINCE2 and MSP developed into generic management methodologies. 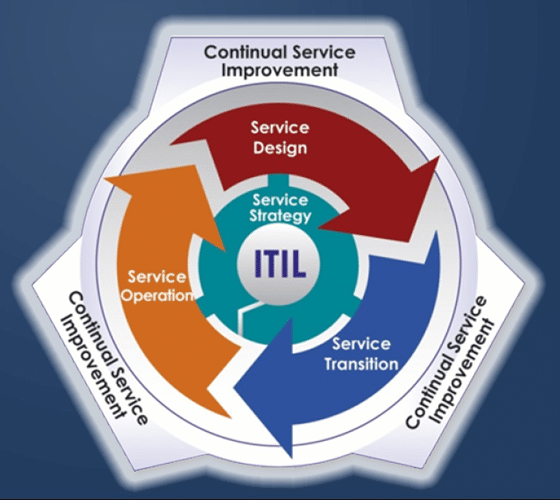 Why is ITIL still an IT-specific, rather than a generic service management, methodology? All services require management of some form or another. Management according to a pre-formulated structure enables a consistent standard of service management, and in reality this underlying structure can be applied across the board. Healthcare and education service providers, for example, need to consider much the same issues as IT service provides. However, the provision of IT services for organisations of every kind means that IT service management is a vitally important discipline in its own right. Developing a service management method particularly for IT service providers meant that publications and training could focus on the details of service management within an IT context, rather than trusting to individual interpretation of a broader methodology. What makes ‘Service Management’ different? Do project managers need to understand service management? What is the difference between an ITIL and a PRINCE2 qualification? Is MSP of higher value than both of them? The truth is that while there is inevitably some overlap between different forms of management, each of the methodologies named above has been carefully tailored to a particular set of circumstances and requirements. The key difference between service management and project/programme management is the provision of long-term support and service development. Projects are carefully and strictly delimited by the products that they are intended to deliver. Programmes, while more abstract is scope, are also designed to reach a recognisable point of completion. Services, on the other hand, continue indefinitely, and an important part of service management is the maintenance and improvement of services over a long period of time. ITIL is an internationally-recognised, multi-tier qualification in IT Service Management. It is administered by the APM-Group, the same body that awards the PRINCE2 and MSP qualifications. Assessment is based on increasing levels of knowledge and comprehension of the ITIL documentation, and on the ability to apply and evaluate ITIL guidelines. The first three ties of the ITIL qualification (Foundation, Intermediate and Expert) are assessed by multiple choice examinations taken at the end of module-based courses. Modules can be chosen based on the individual interests of the candidate, and certificates are awarded according to the number of credits that a candidate has achieved. This enables students to build individual programs of study. ITIL Master, the highest tier of the ITIL qualification, is reserved for expert IT service managers who can prove in-depth knowledge and a breadth of experience in the IT service management industry. It is assessed through a mixture of interviews, written examinations and peer reviews. Both commercial IT service provides and internal IT departments need coherent and proven management structures in order to ensure a consistent and high-quality level of service for all service users. ITIL is free to use, and is also the most widely known and adopted methodology in the IT industry, making it a particularly attractive choice for IT service managers. ITIL qualifications are rapidly becoming standard requirements for job positions in IT service management, and at least some familiarity with the material is required for all roles within the field.